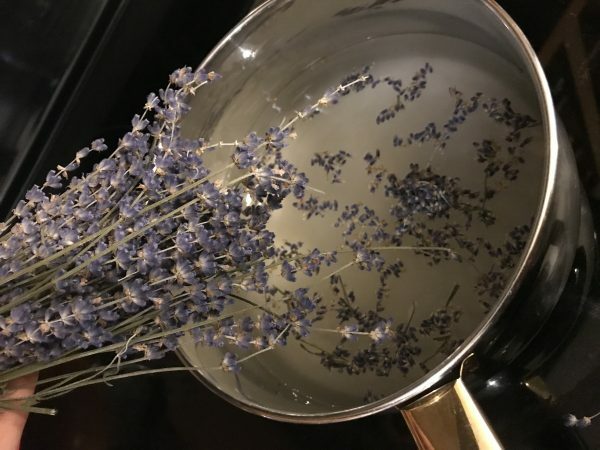 Lavender blossoms steeped with sugar, & water creates a sweet & aromatic floral syrup. Bring water and sugar to a boil and allow boiling until the sugar is completely dissolved. Cool and strain. Cover and refrigerate for up to 2 weeks.